It's almost St. Patrick's Day! Do you celebrate, or decorate? 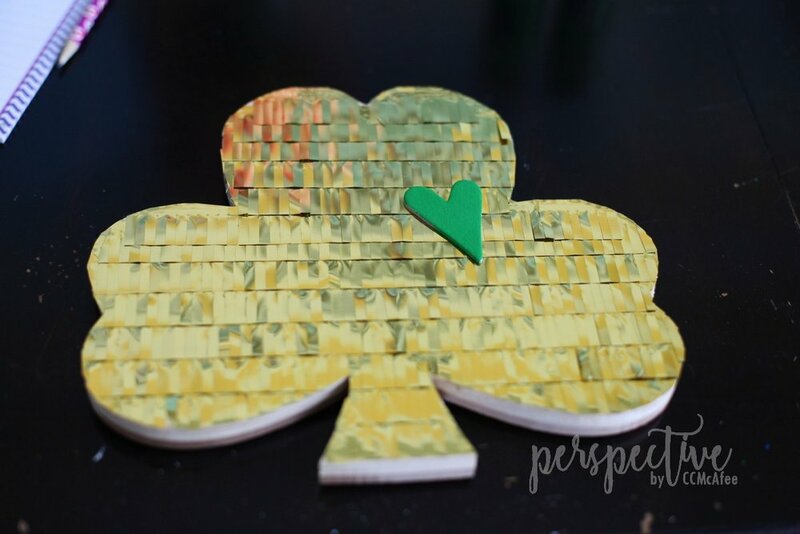 I wanted to share this quick and easy craft you can make for St. Patty's Day. I found this shamrock at Target's dollar spot. I grabbed it because I don't have a lot of St. Patty's décor. I wasn't sure what I would do with it at the time. That is often how I work! Just grab it, figure it out later! 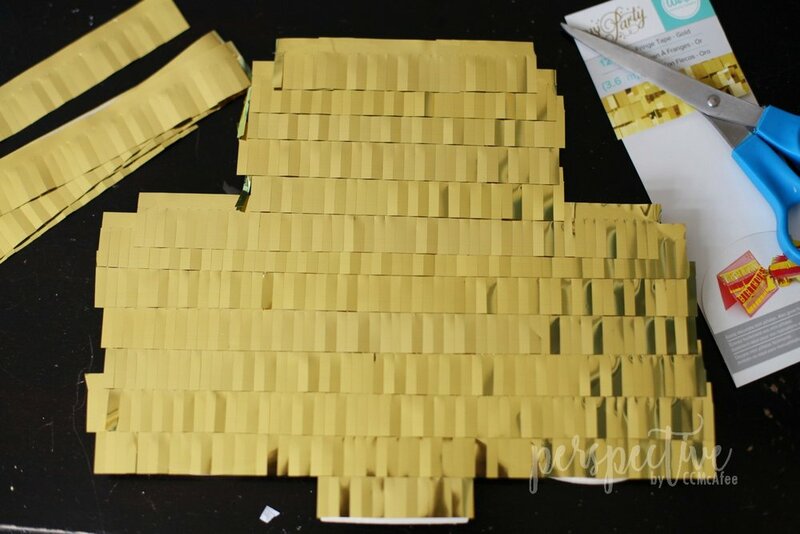 I was walking through Hobby Lobby at a different time and found this gold fringe with sticky top. When I saw it, I knew what I wanted to do with my shamrock... You see where I went with this right?! 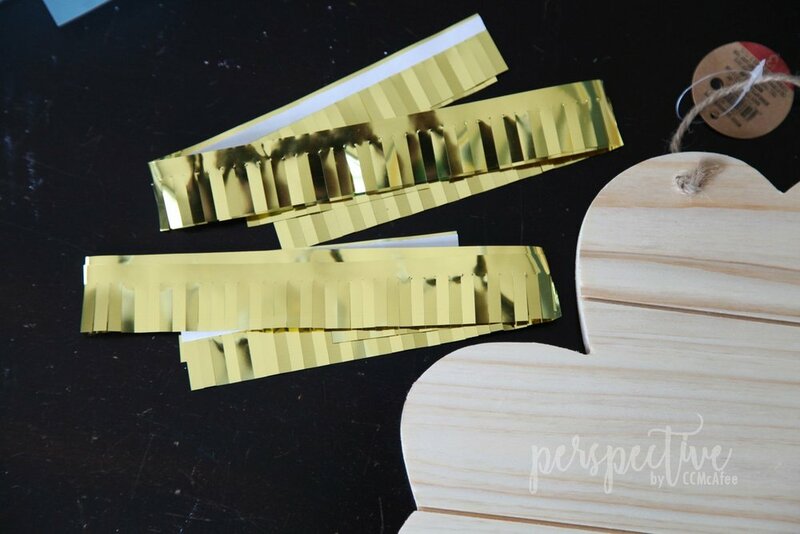 This craft is oh so easy! I started from the bottom and layered the fringe going upward. I cut lengths as I went, depending on which layer I was on. There was no need to prep the surface and the fringe is just peel and stick. Seriously. So easy! I went ahead and let any excess hang off the edge and trimmed around the whole thing at the end. Last I added a little chipboard heart that I painted green. Done and done. It has a little ribbon at the top so I can hang it, or I can stand it up. We don't emphasize this day too much at our house, but it is fun to make days special in small ways. It especially helps to break up this blah time of year!